They combine the luxury of spiritual East and thirst for relaxation of the severe North. 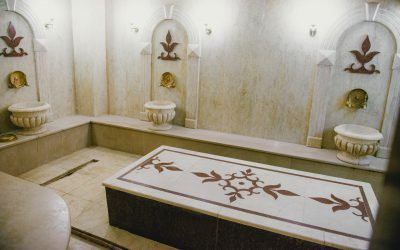 The low vapor of the hamam at maximum humidity ensures a gradual heating of the body, making the blood to move faster, cleanses the body from all kinds of toxins gently and relieves psychological overload. Hamam gives you some pleasant, tender sense of relaxation. 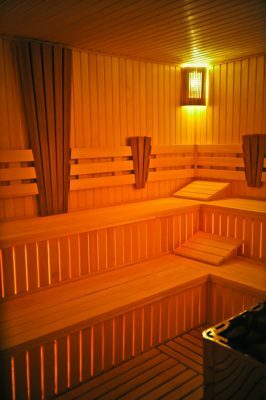 Combination of high humidity and not so high temperature creates a special microclimate, making it possible to enjoy all types of treatment. And what relaxation and inner sense of peace gives a well-warmed marble!!! Incomparable soap peeling, kisa, massage with cosmetic oils and flavoured tea with jam add a special pep up. 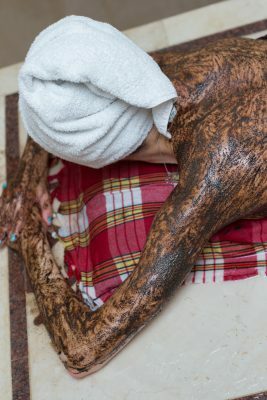 Hamam as well as other baths have a positive impact on all systems of our organism. This is an exclusively pleasant and ultimate way to relax your soul and body, disconnect from all worries and everyday fuss, improve your health and understand your mood. If you want to give back health and youth to your body, you should certainly visit our hamam. Its treatment will give your body a chance to clean up and acquire new strength and energy as quick as possible. Warm steam combined with maximum humidity guarantees gradual heating of the body, stimulating blood circulation through veins, softly detoxes the organism from possible toxins and relieves psychological overload. 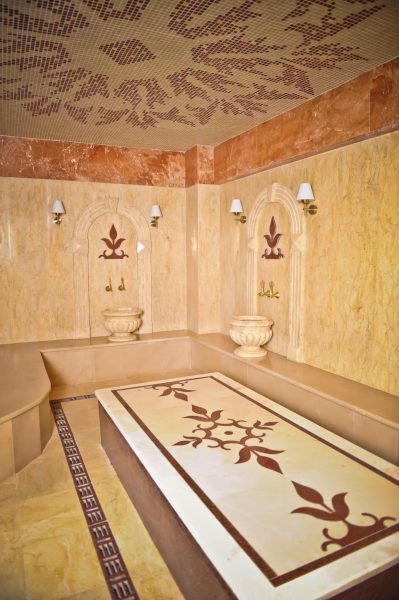 Hamam grants exceptionally pleasant, tender feeling of relaxation. 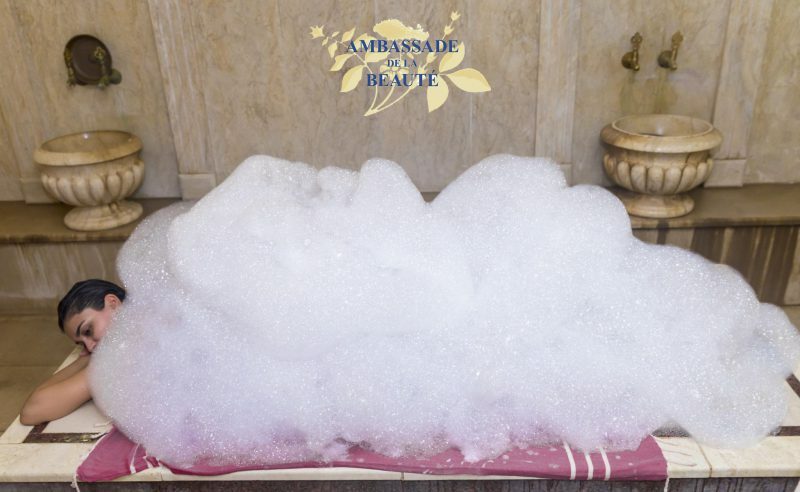 Combination of humidity and average temperature creates specific microclimate, allowing enjoying all procedures in hamam. While well heated marble bestows slow relaxation and inner peace. Foam peeling, kese, massage with cosmetic oils and aroma tea all add particular twist to this treatment. Detox, full relief of tension, relaxation and rest are crucial in terms of modern hectic world.